Are you looking for an App to convert any printed documents, business cards or meeting minutes written on a Whiteboard to a digital format instantly? 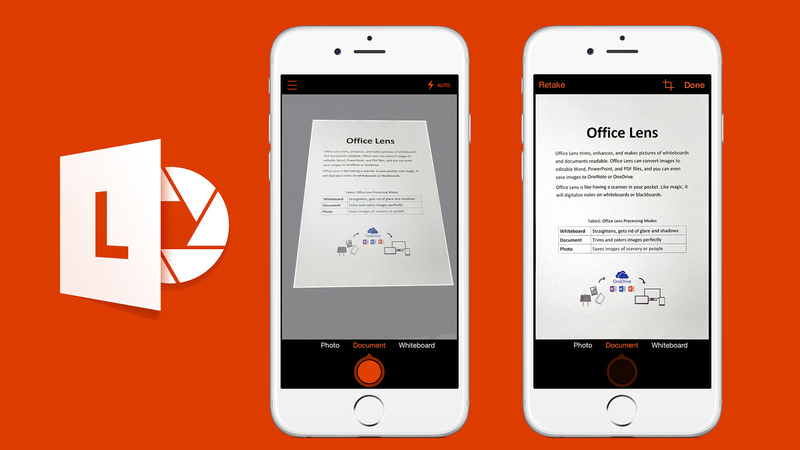 Microsoft Office Lens is a handy App that does it with ease…. Office Lens is an excellent utility App which can trim and enhance the documents and pictures of whiteboards and convert them to readable format. It was named as one “Best Apps of 2015” by Google Play in the U.S. and Puerto Rico. By using this App, you can convert images of white boards or notes written on paper to editable PDF, PowerPoint or MS Word Documents. You can also save these documents to OneDrive, OneNote or on your local device. Microsoft has recently amped up its efforts to offer its software and services across all platforms including Android and iOS in order to stay on track with its competition. Office Lens is the new scanning app through which you can take photos of written materials like whiteboards, notepads and printed documents and convert them to digital format. It has a built-in OCR functionality which converts the printed words in the image to editable text. Though there are similar apps in the market like Evernote, ScanBot, Abbyy FineScanner, etc., Microsoft Office Lens has some interesting features that gives it an edge over the competitor apps. Installing Office Lens on your iPhone or Android Smartphone is like having a scanner in your pocket. It can digitize notes from blackboards or whiteboards instantly and behaves like a pocket scanner. You can easily store the business cards or important documents in digital format in your phone. You can take a snap of important meeting minutes written on a whiteboard in your office conference room and it will be converted to editable documents instantly. You may never have to lose any sticky notes or lose receipts again. 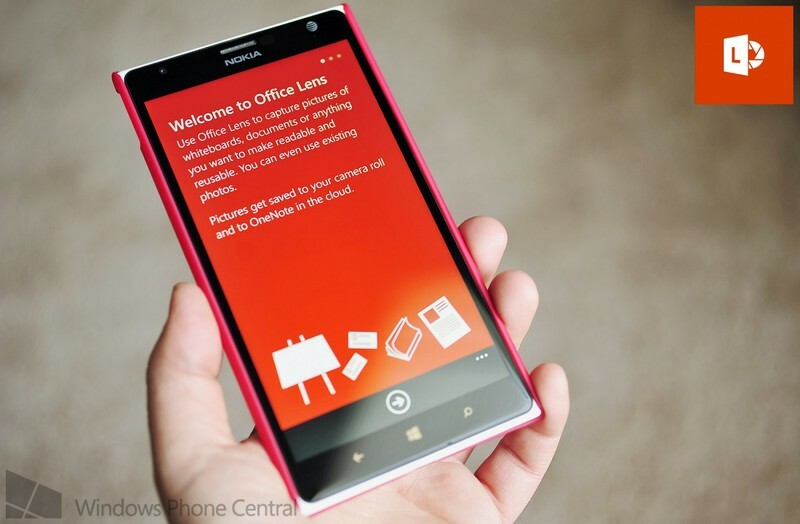 You can download the latest version of Office Lens App from Google Play for free. The Application is around 32MB in size and requires Android version 4.1 or above. In order to install and use this App, you should grant access for the App to your phone’s storage and camera. The App displays a two-panel animated demo explaining its features when you open the App for the 1st time. Then you will be taken to the camera view to get started with the App. Unlike other Microsoft Apps like Skype or Cortona, Office Lens does not require users to sign-in to their live account. The App starts in camera mode by default with buttons for shooting, scanner, flash and overflow 3-dot menu which gives access to Resolution, Import, Settings and Recent history. When you place your phone’s camera above a document, it will automatically draw a box around the document which it considered as text. The scanner icon will help you choose between a Photo, Whiteboard or document. Once you have selected the shot type and click the shutter button, your screen will show the image along with options to crop, delete or save the picture. You can change the shot type to Whiteboard or document even after taking the snapshot. You can rename and save the image in your phone’s local storage or OneDrive in any of the formats such as PDF, PowerPoint or Word File. You can also save it as a picture in your Android Photo gallery. If you choose the OneNote option, you should sign to your Microsoft Account which you can later access from your PC as well. The words in the image will be converted to editable text through the inbuilt OCR functionality. You can also get character conversion option if you save as Word. If you save the image in PDF format, it will be stored in your OneDrive Storage which you can access anywhere but you won’t get OCR text. Office Lens can trim and clean up shadows and glare in Whiteboard mode. With Document Mode, the app will trim and auto-correct the image colours to make it more readable. Option to save the scanned picture as OneNote, PDF, Word or PowerPoint format. Business Card mode will automatically extract contact information like Name, email, Phone number etc. and store in your Address book. It supports major languages like English, Chinese, German and Spanish. Can Crop images of curved items like folded papers or business cards. The only drawback of this App is OCR does not work for curved surfaces and complicated business cards. Using the Office Lens App, you can improve the productivity at your work and school. You can capture important meeting minutes, printed documents, and business cards instantly and save them in appropriate digital formats so that you can access it anytime. Office Lens can also be used by school students to share classroom handouts and annotate them in Word or PDF format. Students will find it useful to convert their classroom notes to digital format and organize them into various categories for easier accessibility. Overall, Office Lens is a really handy App at both your work place and home.